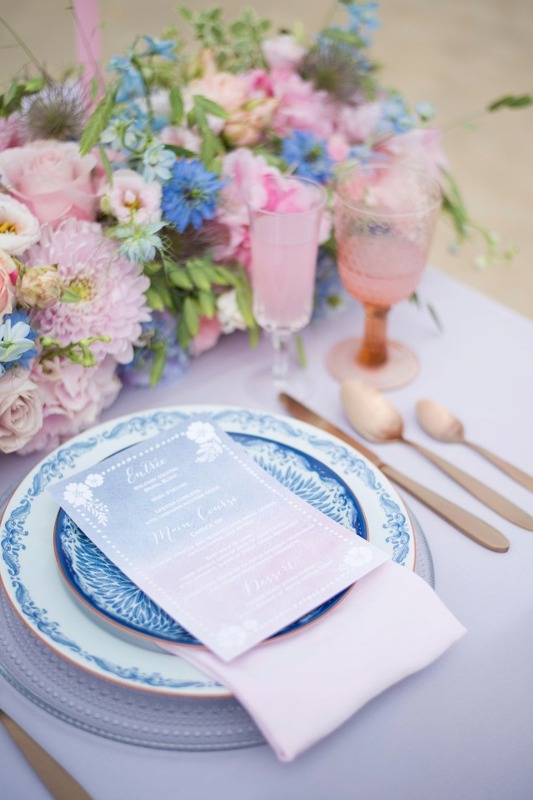 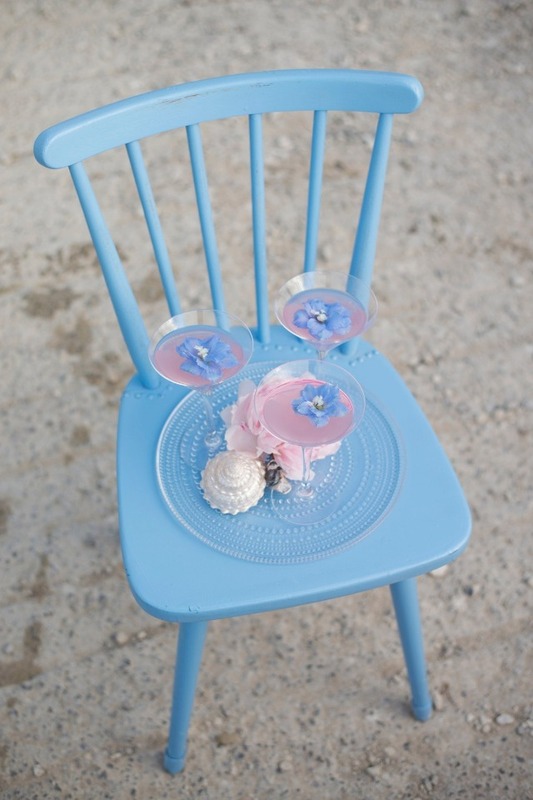 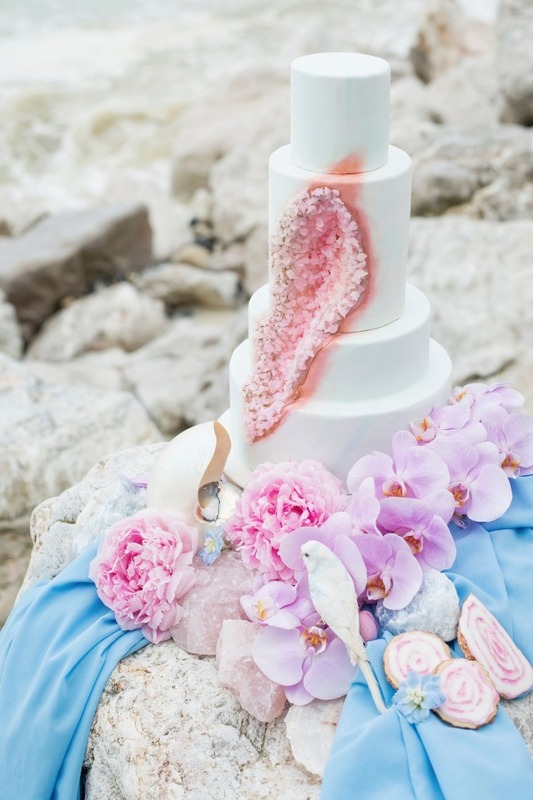 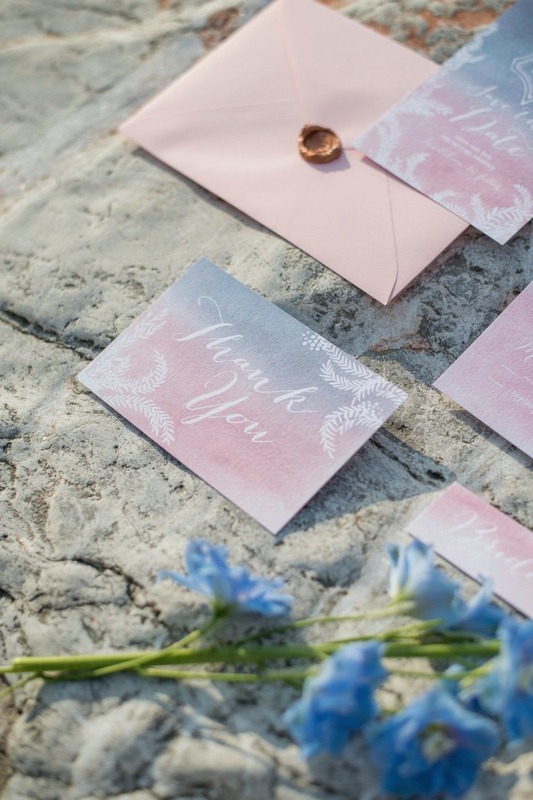 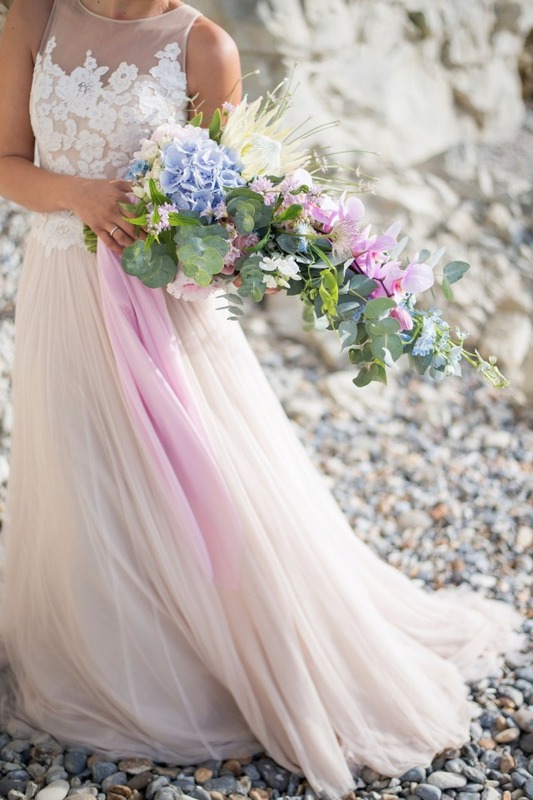 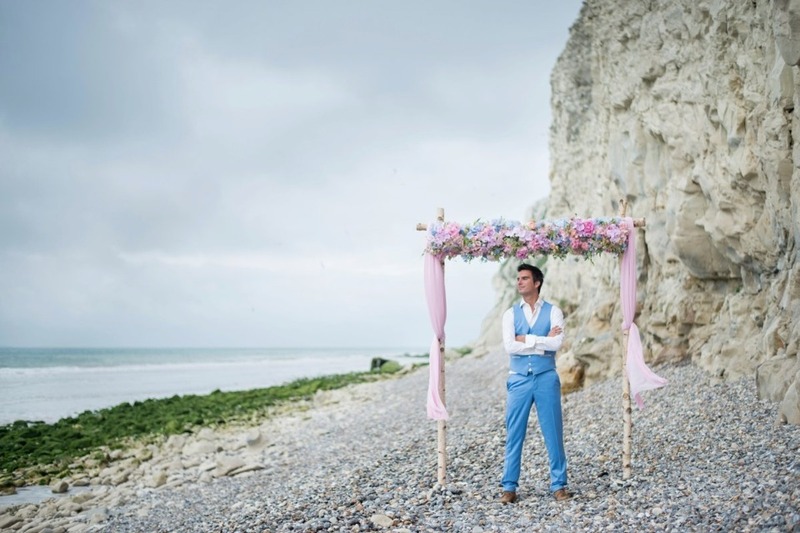 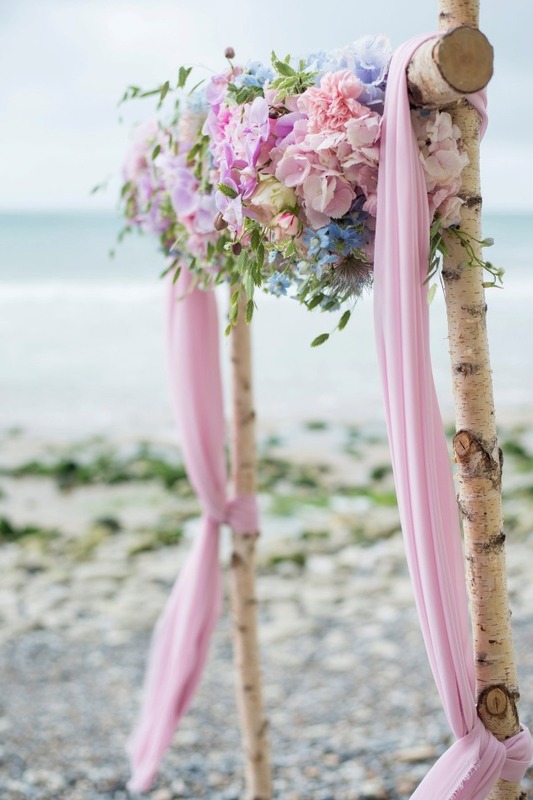 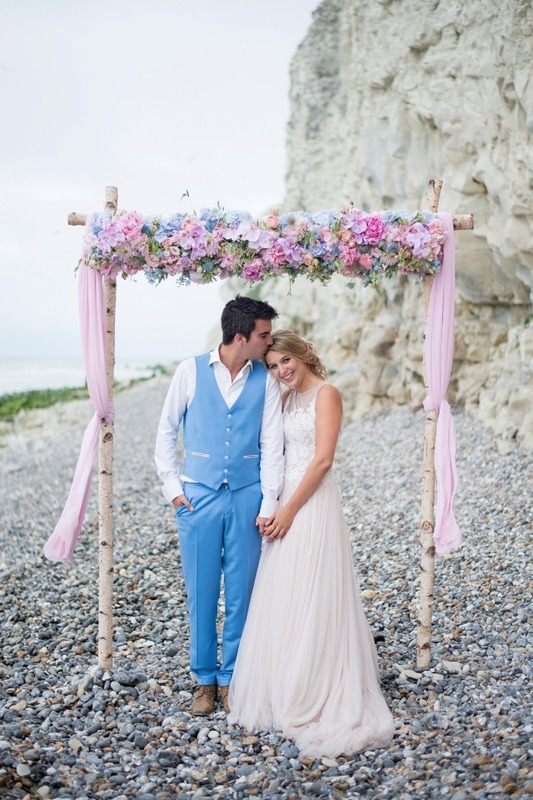 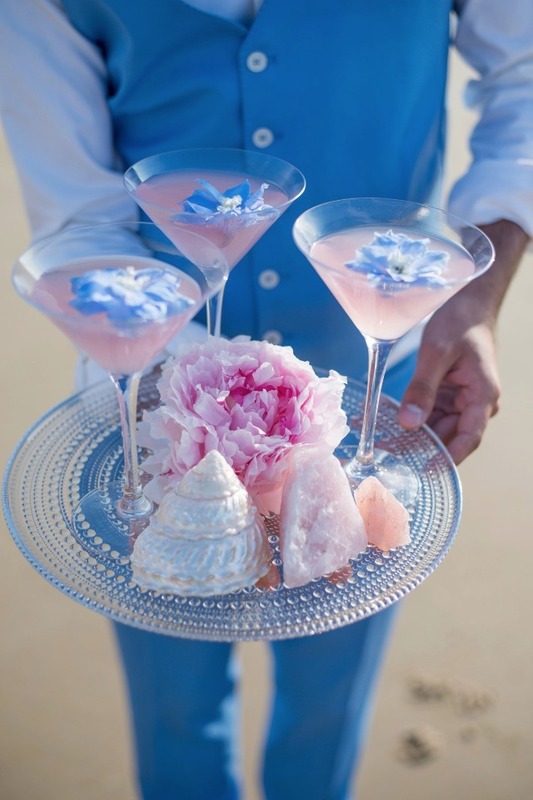 When you dream of running away with your true love and marrying them on the beach these pink and blue whimsical wedding ideas nail it! 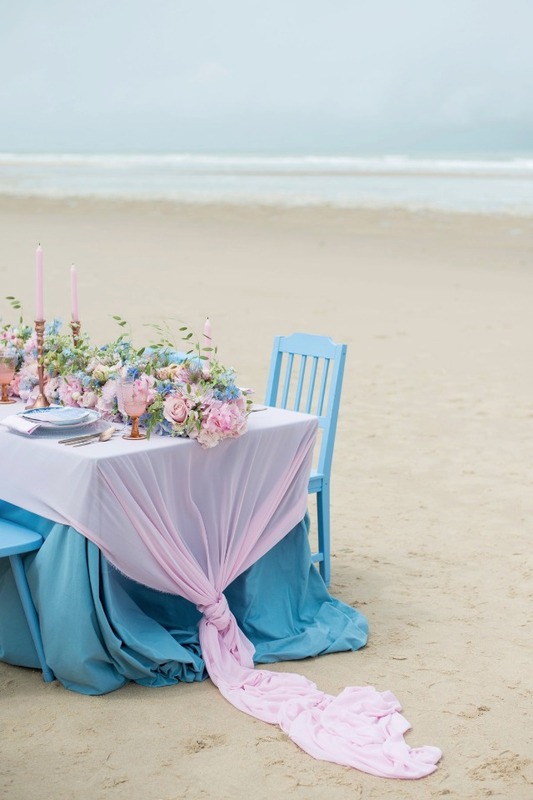 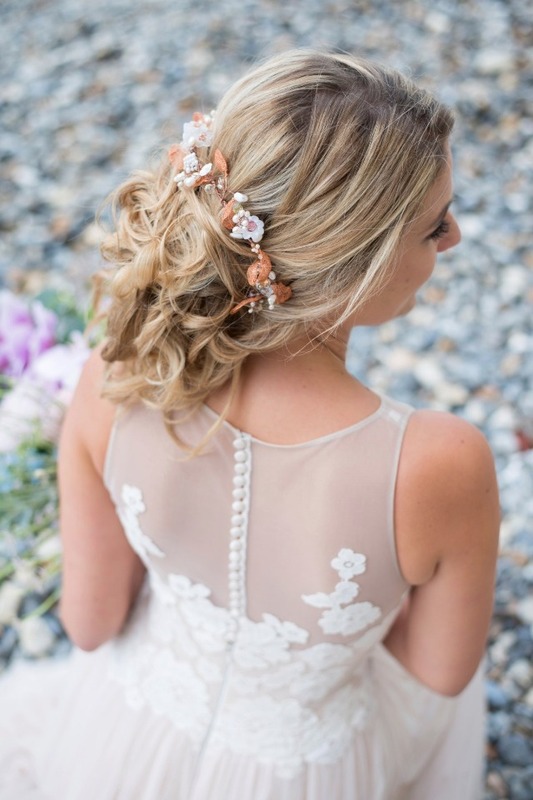 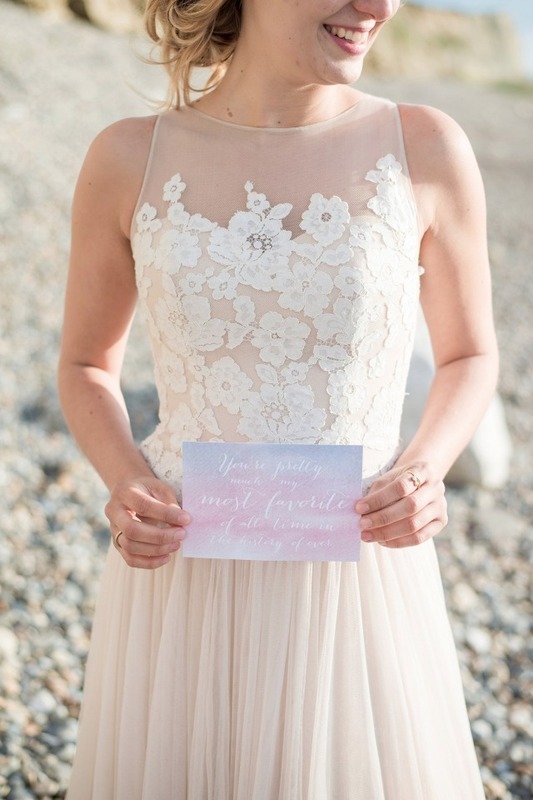 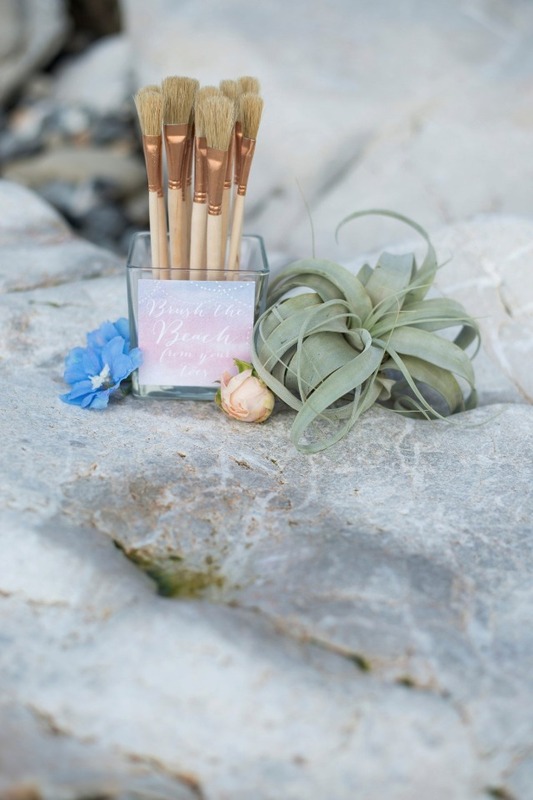 A secluded beach and gorgeous, effortless looking decor, magically await your perfect day! 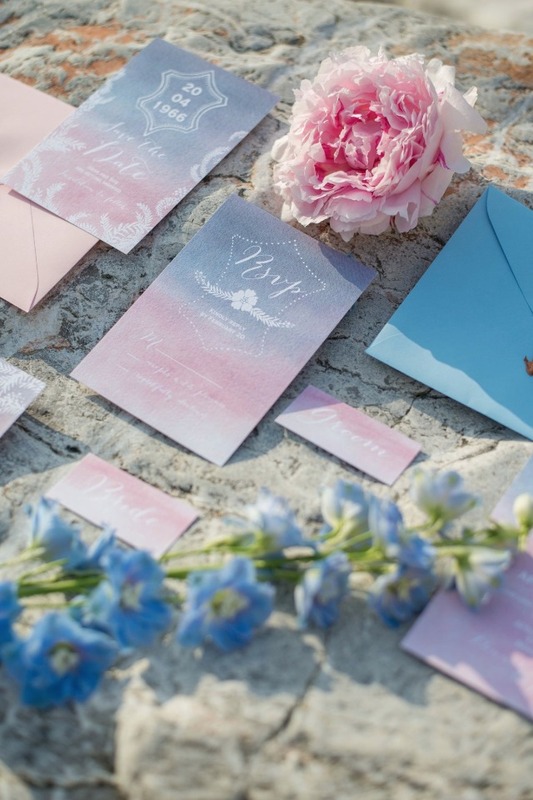 Designed by AnnMariage Weddings & Events and Blik en Bloos Fotografie you can see even more of this pantone of the year inspired shoot by visiting the full gallery here. 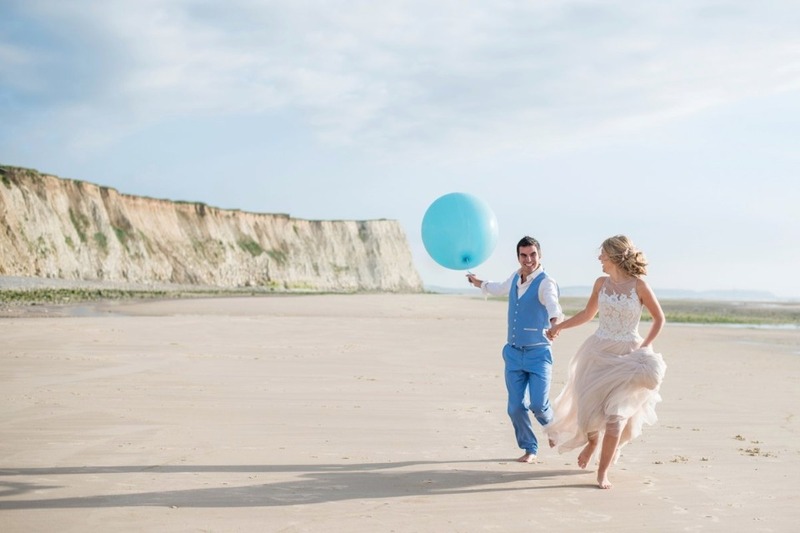 Oh and be sure to stick around for the breath taking wedding film from State of Dreaming Films! 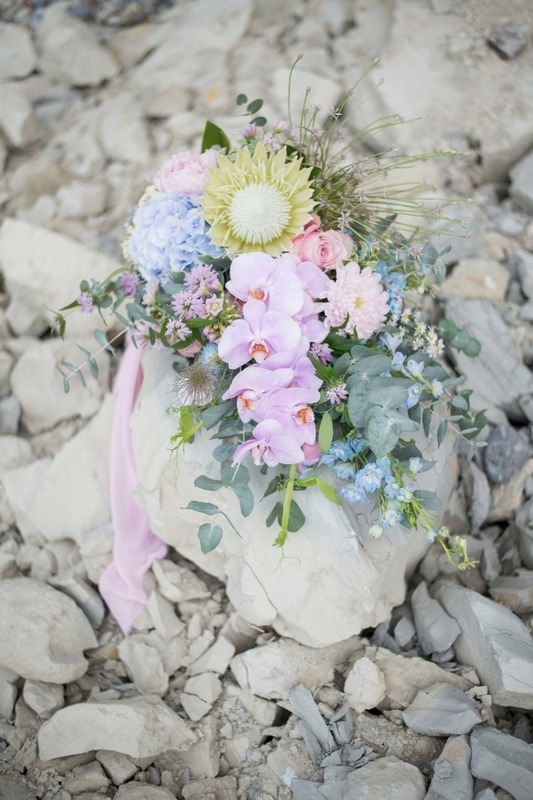 From Blik en Bloos Fotografie: When I was a child, I visited the chalk coast of Calais with school to find fossils at the beach. 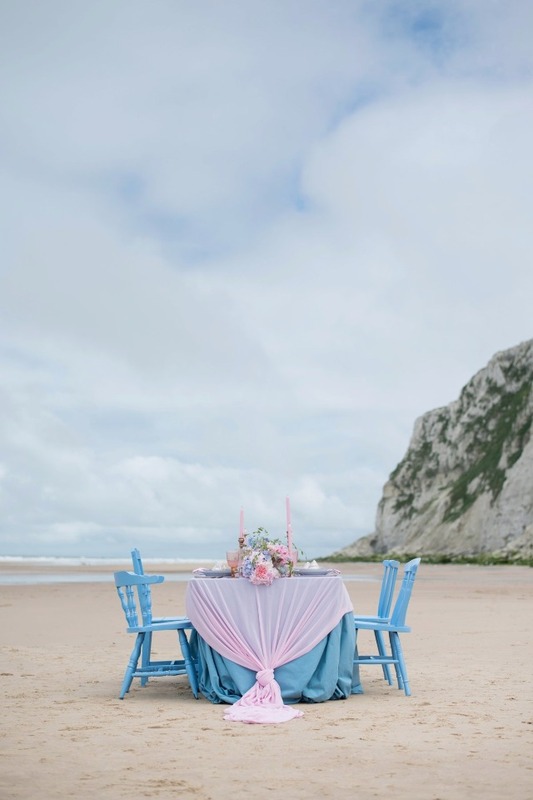 I took the memory of these gigantic cliffs and the beautiful beach with me and I have always wanted to visit this beautiful place again. 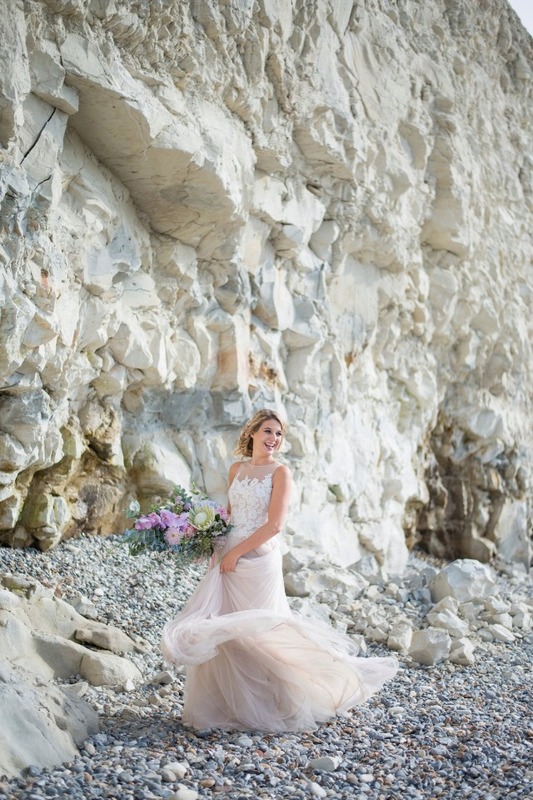 When I was thinking about a really romantic photoshoot which I wanted to organize, I immediately had to think about this location because of it's natural beauty and romantic but also tough looking. 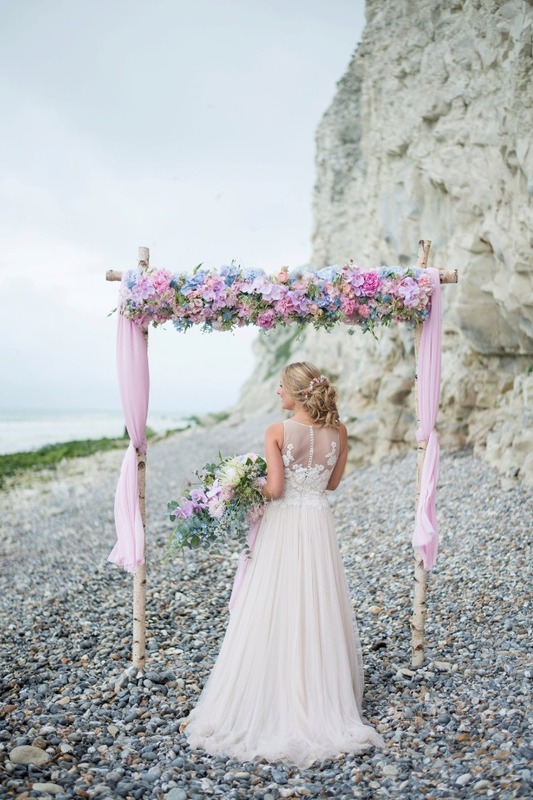 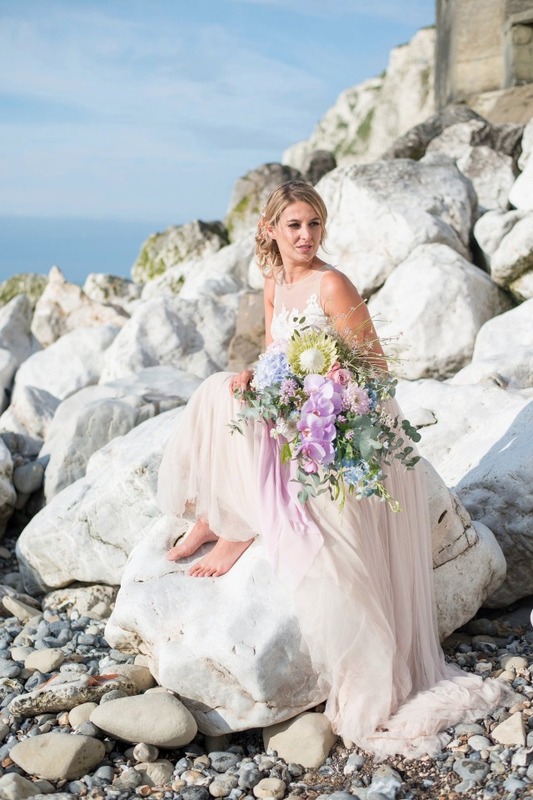 We wanted to create a romantic setting, because the chalk coast is beautiful and has a really great light and airy appearance. 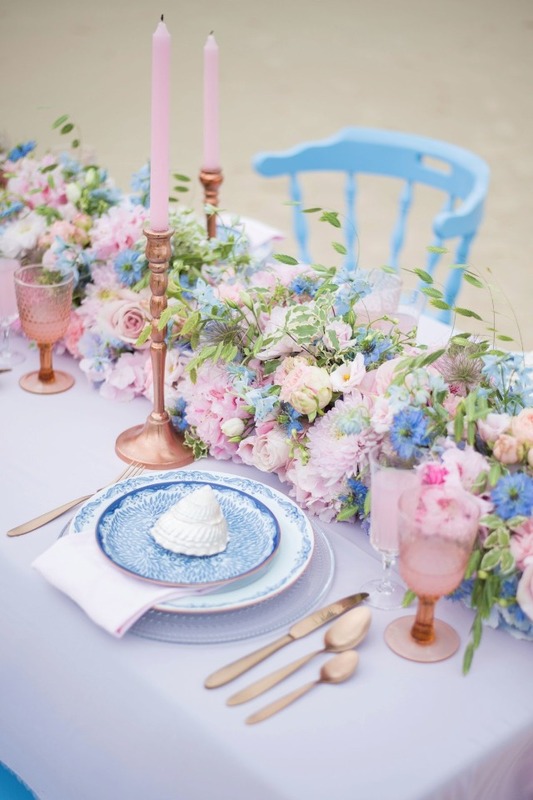 We wanted to combine the light chalk and blue ocean with rose quartz and serenity blue accents to create a lovely, cohesive entity. 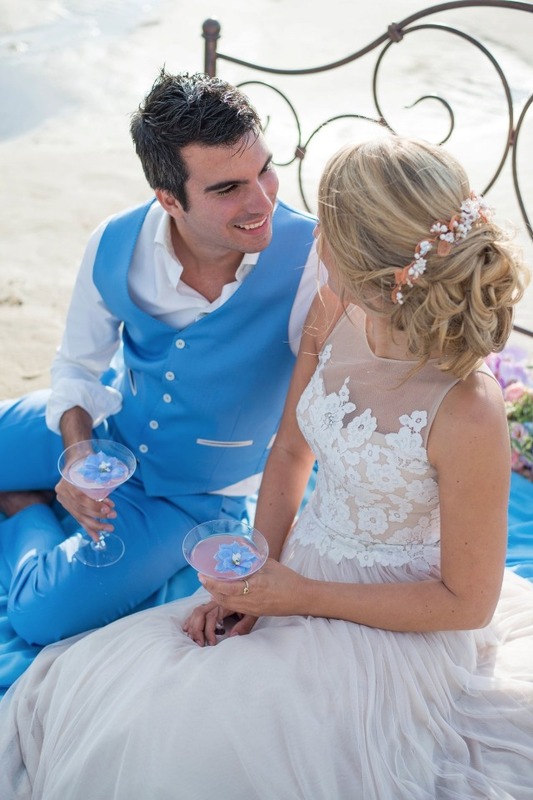 The bridal couple was madly in love and we wanted to show that in the photographs and video, because they created so many beautiful moments together. 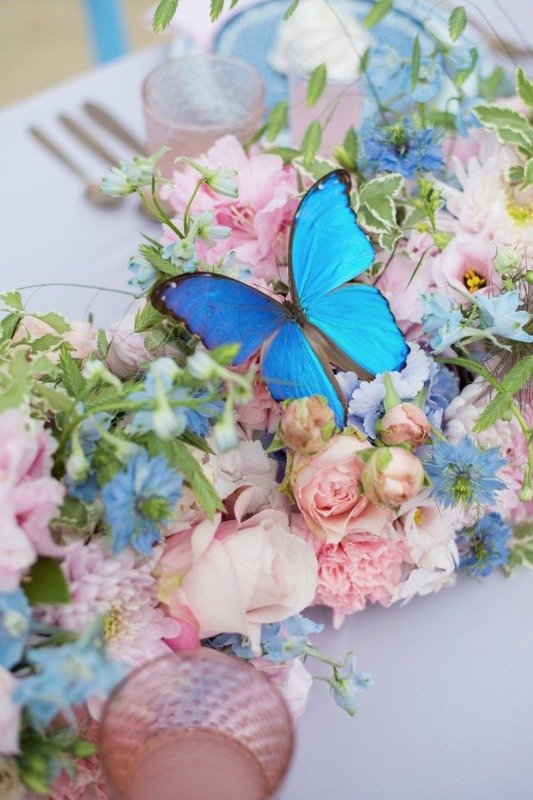 We added unique elements as an ankle band of flowers, some sandlewood fans for hot moments, brushes to sweep the sand off your toes, faux butterflies and birds as decoration. 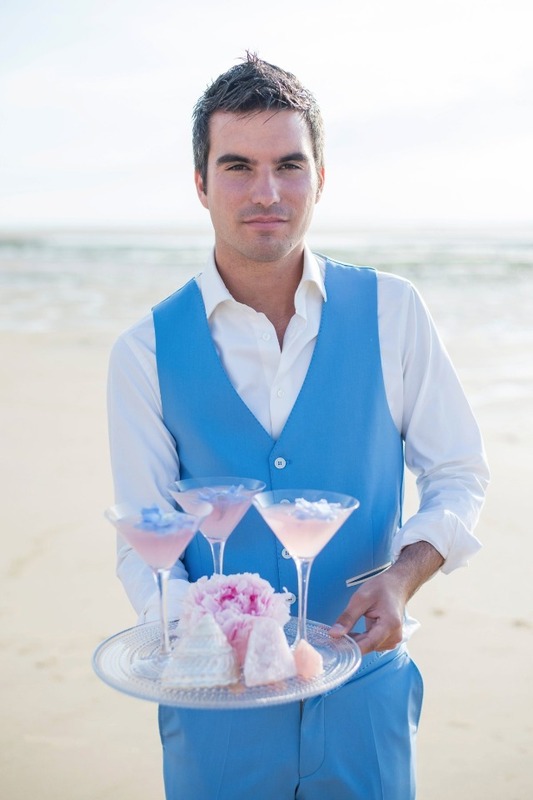 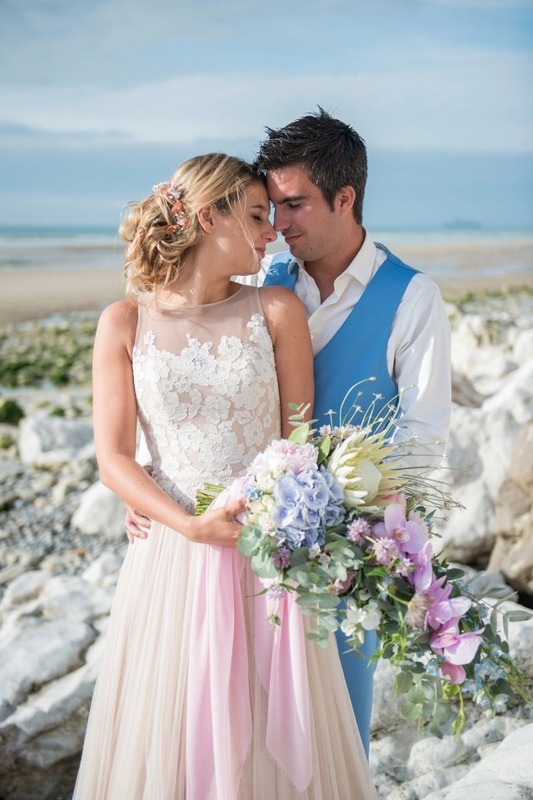 We also created a bed at the seaside and brought a big blue ballon, romantic quotes on some beautiful cards and some rose quartz drinks to make the photoshoot complete. 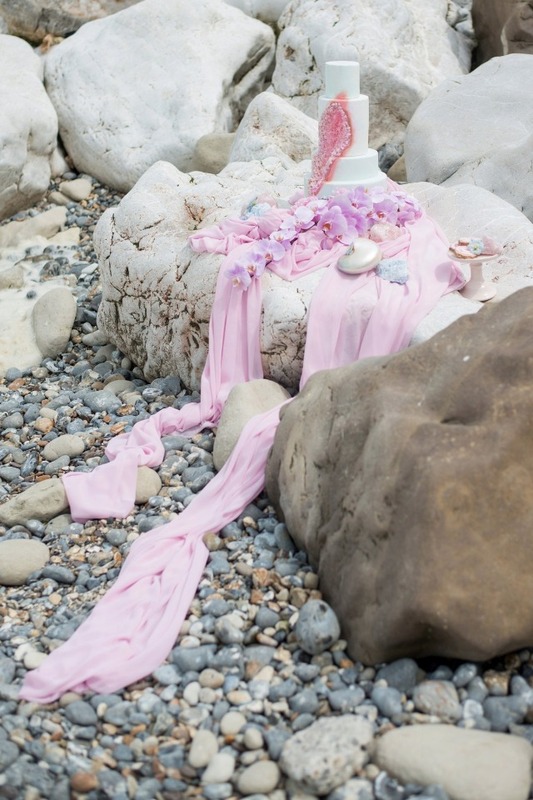 You simply must watch the entire video from State of Dreaming Films. 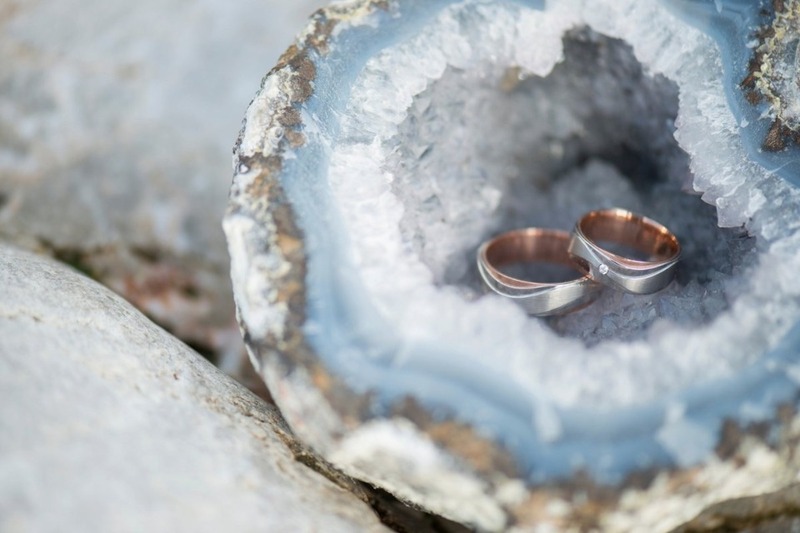 A breathtaking and memorable wedding film that we could watch over and over.